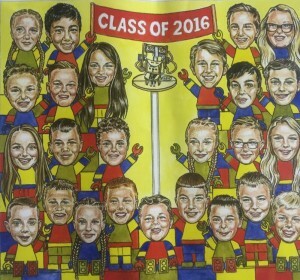 Every year we celebrate the graduation of our 6th Class with a new mural in the school. 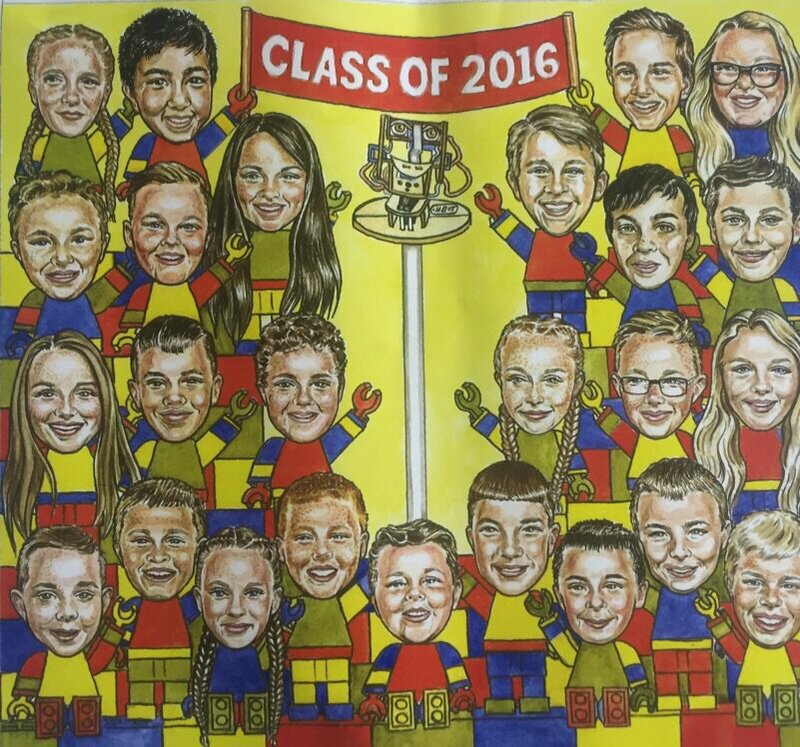 Here is our class of 2016! 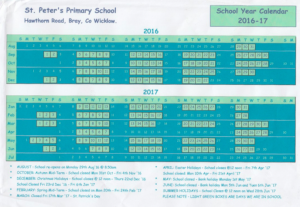 You can download a copy of our school calendar for 2016-17 – with details of holidays, school closures, events and more – by clicking here.